A local favorite for steaks, burgers, and brunch since 2007, Off The Strip boasts a loyal following thanks to its classic bistro and bar atmosphere, comfort food, and genuine, personalized service. 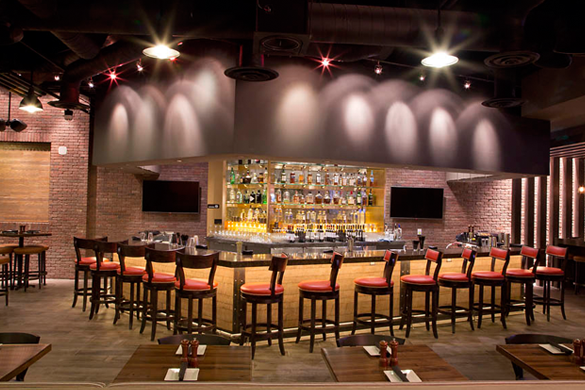 The two-story, second location at The LINQ offers indoor and outdoor dining, as well as three bars. 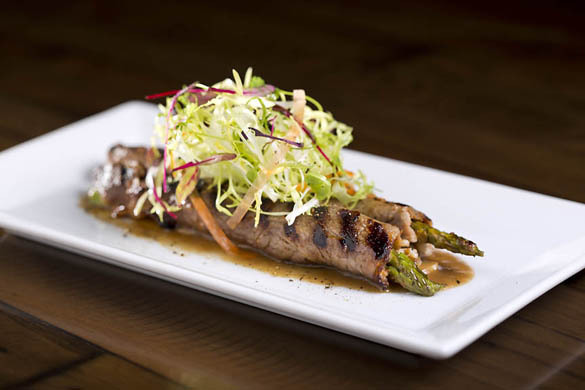 It’s not an easy task to provide an Off The Strip feel to an On The Strip restaurant, but that’s what we do! 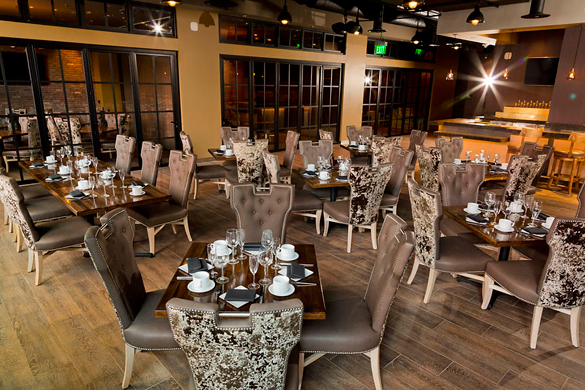 Our steakhouse bar and bistro is cozy yet classy, and we know how to throw events. Our 2nd level private dining room has it’s own private bar, an elevator to the top and can be expanded or divided into three private areas depending on your party size and type. Whether you are organizing a brunch celebration, wedding reception, holiday soiree or corporate party we will personalize your event and provide a dedicated planner to guide you through the process. When we say “Just Real Food” that’s exactly what we mean. 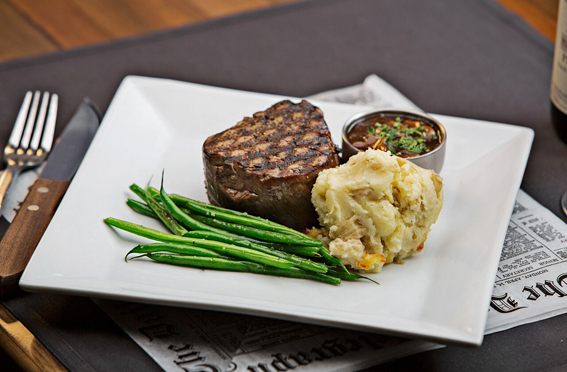 We have a commitment to using only the freshest market ingredients in our steak, burgers, and brunch. 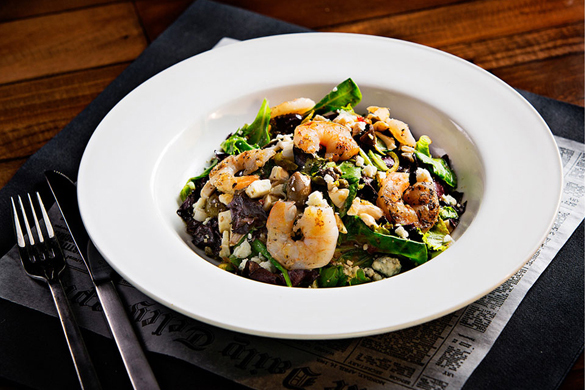 At Off The Strip we want to serve you wholesome gourmet food, in sizable portions and at reasonable prices. Our menu is split into our “Legends” that have been with us since the beginning and have our heart and soul cooked into them. We also provide a “Fresh and Fit” menu, “Between the Buns” sandwiches and burgers, “Steaks and Chops” and the best Happy Hour and Brunch on the Strip. HIGHLIGHTS OF THIS ITALIAN RESTAURANT A Las Vegas locals’ favorite, Off The Strip boasts a loyal following thanks to its classic bistro and bar comfort food. This two-story Strip location features three bars and indoor and outdoor dining—ideal whether having a large meal or grabbing a few craft beers. The chicken parmesan and lobster ravioli are some of the most favorite menu items..
3545 Las Vegas Blvd S.